Beautiful Aries, you’ve got the Six of Wands this week which means you are likely to be victorious and feeling triumphant about achieving something amazing. The Six of Wands teaches us that through dedication, commitment and hard work, we see our plans and goals materialise and come to fruition. It’s likely that something you have been working hard towards will bear fruit this week and this is likely to fill your week with optimism and contentment. Make some time to acknowledge how far you have come to reach this point of acclaim and happiness, the Six of Wands is helping you to acknowledge how amazing you are and guiding you to celebrate your achievements thus far. 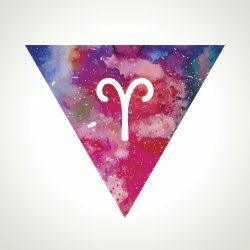 Give yourself a mighty pat on the back beautiful Aries, you’ve done really well to this reach this plateau of celebratory and victorious magnificence. 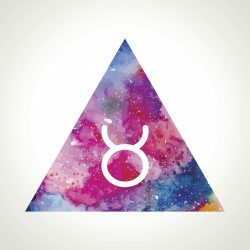 Gorgeous Taurus, you’ve got the Queen of Pentacles this week which means you are likely to be feeling abundant, strong, powerful and confident as the week progresses. The Queen of Pentacles speaks of treating ourselves with care, love, attention and a dash of luxury. 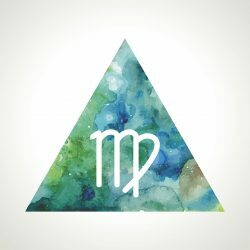 You may find yourself being drawn to luxurious items and gifts this week, perhaps you’ll feel like pampering yourself and spoiling yourself for the energy of this week is likely to transport you to a more confident and fulfilling place, sometimes this card can represent an increase in finances and abundance. You may be drawn to taking care of your loved one this week, taking time to nurture the ones we love is a theme of the Queen of Pentacles. This could be in the form of cooking a nutritious meal or spoiling someone you love. However this manifests for you, it’s likely you’ll be feeling good about what you have in your life and feel like sharing it with those you love. Beautiful Gemini, you’ve got the Five of Cups this week which means you could be thinking about what’s been upsetting you recently. You may have been through an unsettling time recently and this card usually comes to us when we are over the worst of it and are examining our feelings about what’s happened. If you’ve had a tough time of late, try to focus on what’s positive about what’s happened. The Five of Cups shows some Cups split and some Cups still standing. The Cups that have spilt signify was we are upset about and the Cups standing symbolise what’s left to be built upon. If you need to release emotion this week by all means do, but the message of this week is to notice what’s in your life that’s a blessing and what you’re grateful is still present in your life. 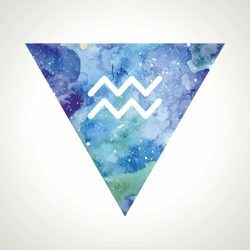 Gorgeous Cancer, you’ve got The Moon this week so you’re likely to in tune with the deep watery and emotionally psychic vibes that resonate so well with Cancerians. You may find yourself drawn to learning about some secret, ancient or esoteric knowledge this week. This could be as simple of learning to interpret the meaning of your dreams. The Moon is associated with the subconscious so you are likely to have some powerful and prophetic dreams. Research the symbols that appear in your dreams to find out what your soul is trying to tell you. You could experience some uncertainty, change or flux this week as The Moon symbolises the turning and transforming of our experience. Being so affected by The Moon astrologically Cancer, you already know the power and emotional charge that comes with the moon changing itself every day. Go with the flow this week and use your emotions as a guide and barometer. 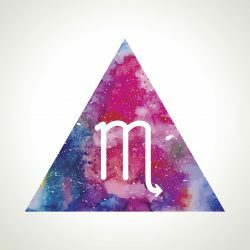 You’re likely to be super psychic this week so allow The Moon to give you the info and guidance you’re seeking. Beautiful Leo, you’ve got the Seven of Swords this week so you’re likely to be thinking carefully about what you communicate and who you communicate with. 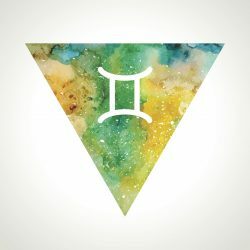 The Seven of Swords asks us to pause before communicating, the three gates philosophy could be handy for you to bear in mind this week. Before you communicate as yourself, is this necessary, is this true, is this kind. If you could can answer yes to all those questions, then open to gates of communication. There could be a situation where you feel that you have to bite your tongue and say less that you’d like. Try to use guile, tact and diplomacy this week, that way your communication will be received and understood more easily. Sometimes by pausing we can gain more information and when the time is more opportune our words are given a charge from our soul and we know we are communicating with congruence. Gorgeous Virgo, you’ve got the Nine of Pentacles this week so you’re likely to be feeling good about yourself and your achievements. The Nine of Pentacles is showing you this week that you’re rocking awesome and helping you to sparkle and shine. It’s likely that you’ll have an increase in confidence and self belief this week, as the Nine of Pentacles symbolises a realisation that we are more than we thought and we have more than we thought. It’s likely that you are a huge source of inspiration for people in your life and this week it’s probable that you’ll feel that acknowledgment and appreciation from others. The Nine of Pentacles is guiding you to stand tall this week, step into your power and use your amazing skills to further your future happiness. 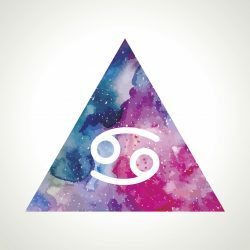 Beautiful Libra, you’ve got The Lovers this week so you’re likely to be thinking about love or perhaps a business partnership. The Lovers is about union, a joining of forces and a combining of energy. 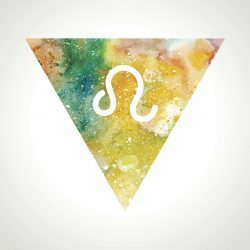 Who and what are you thinking about merging with gorgeous Libra? This week is the perfect time to propose to this person how you wish to move forward and to agree terms of your relationship. You may be feeling unsure about how they’ll receive your words and you could be considering your options and making a decision about how you feel. Take time to observe and reflect this week, all of our relationships are mirrors. Reminding yourself of this will help you to see and then decide what you truly want. Beautiful Scorpio, you’ve got the Ten of Cups this week so it’s likely that you’ll have a peak experience. The Ten of Cups comes to us when we have been doing the inner work that’s required to make an honest commitment to someone or something and are ready to face the good and bad with integrity and humility. You may be making a proposal to someone special and or professing your love and feelings to them. It’s likely that you’ll be feeling celebratory about something significant this week and it’s probable that you’ll want to shout out your happiness from the rooftops and mountain tops! Embrace this weeks energy of uplifting and fulfilling experiences, you’ve been through a lot to reach this point of happiness. Take time to celebrate and rejoice in the new found blessings that are coming to fruition in your life. 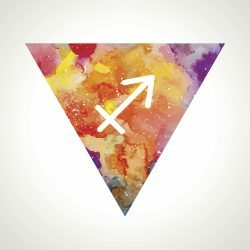 Gorgeous Sagittarius, you’ve got The Star this week so you’re likely to be feeling optimistic about something you hold dear or hopeful about a wish you hope you see materialise. The Star is asking you to have faith in the power of the universe and wishes to come true. If you can be hopeful and optimistic you’ll find the universe with usher in its support and guidance. You may get to experience the power of prayer this week, there’s magic to be had if you say a prayer everyday this week with faith in your heart that the universe is listening and responding you’re likely to be able to witness the magic unfold in your life. It’s the power of the human mind and heart to have faith and optimism that enables great change in life. The Star is asking you to access that magical part of you that believes in magic and knows that the universe has your back. Trust, pray, visualise and hope this week beautiful Sagittarius, all your dreams can and will come true if you can believe. 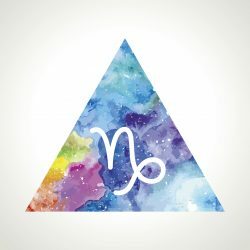 Beautiful Capricorn, you’ve got the Queen of Cups this week so you’re likely to be able to use your feelings as a barometer to guide you and give you insight. The Queen of Cups is a magical figure that can represent someone in your life that offers you guidance and counsel this week or it could be you that’s the one offering insight and guidance. Either way, it’s likely that you’ll be in touch with your emotional intelligence this week and be able to sense and predict the order of the day and week! Trust your watery emotional vibes this week, the Queen of Cups is helping you to discern and sense your way forward. A secret could be revealed that you’ve felt was true or information could come to you that you know deep down to be real in some way. Take time to sit with your feelings this week, the Queen of Cups is helping you to gather information and guidance from your feelings, use your emotional power and presence with grace this week. 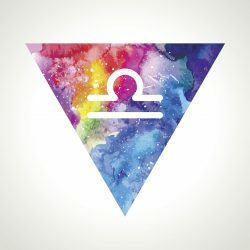 Gorgeous Aquarius, you’ve got the Knight of Cups this week so you’re likely to be uplifted and transported to a happier place either by your own feelings or someone coming into your life. The Knight of Cups is the most romantic card of the Tarot, it signifies a development of your romanticism and growth of love and happiness. If your currently in a relationship you’ll find that this week will be a new chapter for you both and it’s likely that you’ll progress week feeling more loved and appreciated. If you’re currently single this card can signify someone new coming into your life and transforming your life in a significant way. The Knight of Cups is guiding you to believe that life is for loving and living, embrace all the new love vibes coming your way. 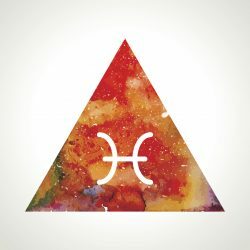 Beautiful Pisces, you’ve got The Hanged Man this week so you’re likely to be experiencing some hoped for changes that may require you to adopt some patience and trust in the universe. The Hanged Man teaches us the importance in surrendering to a higher power, whether you call that God, Allah, the creator, the universe the power is the same. It’s that part of us that waits and trusts that something good will come from our surrender. You have some amazing opportunities this week to change your life for the better. If you’ve been thinking of giving something up in the hope of obtaining something greater then this is the week to do it. For instance you may be thinking about giving up an unhealthy diet for the aim of gaining greater health, energy and happiness. The Hanged Man is guiding you to seek out and clarify what you’d like to change and transform.